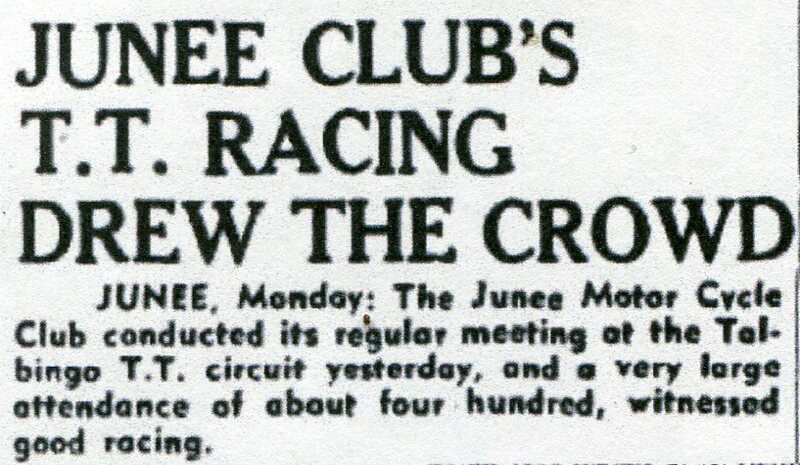 In 1953 and 1954 at least three TT's were held at Junee by the Junee Motorcycle Club. 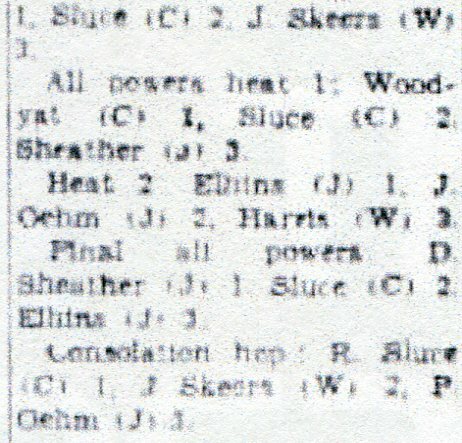 The known dates were the 26th of June 1953, the 13th of September 1953, and the 2nd of May 1954, up to 25 riders entered each event. 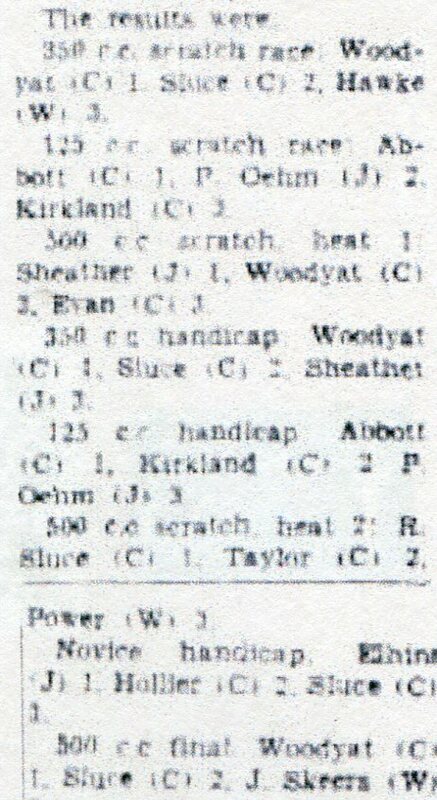 It is unknown at this point as to where the events where held. 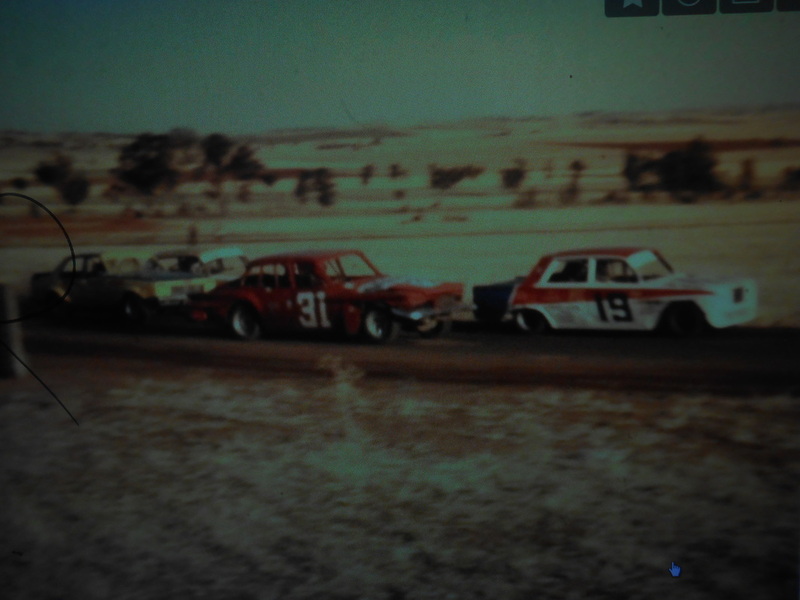 The original town of Talbingo was moved in 1968 to make way for the Snowy Mountains Hydro Electric Scheme. 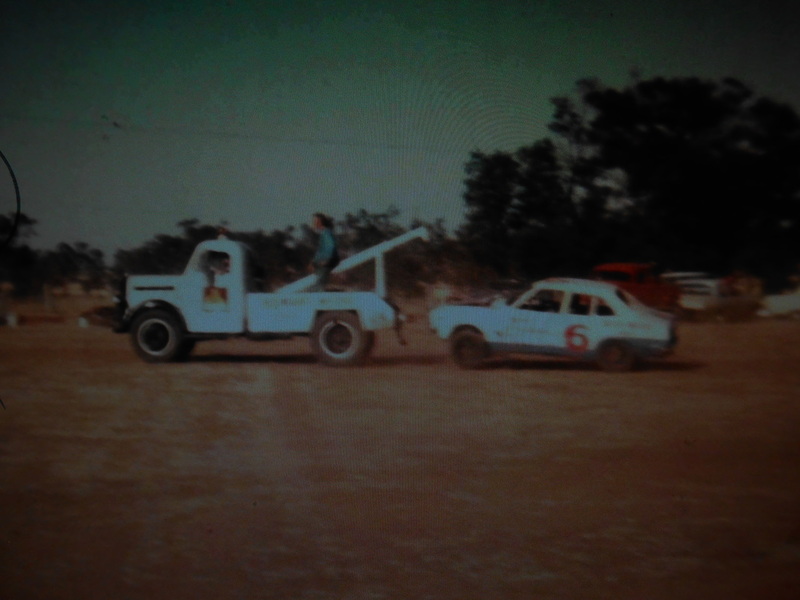 Prior to the move, Talbingo consisted of a Station with its Homestead, along with a Hotel, Service Station, some small holiday cabins and a possible Speedway track. 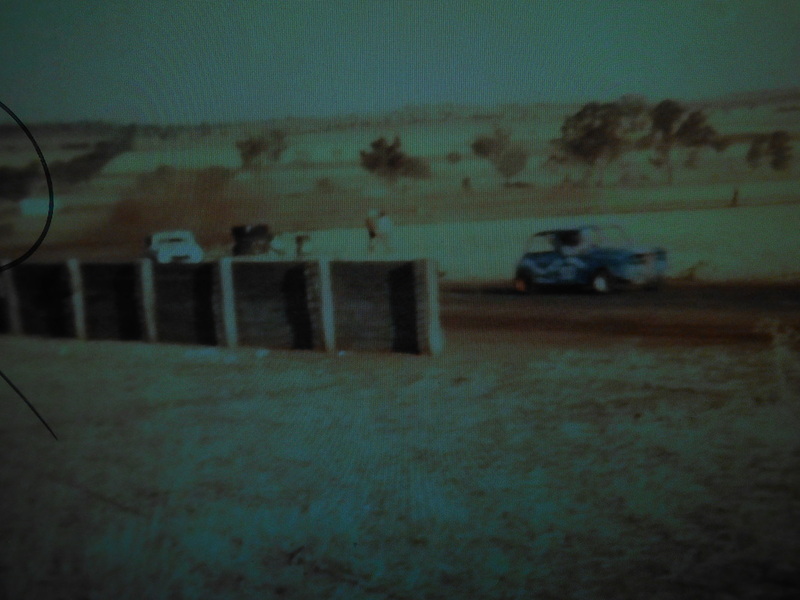 It is believed that only five families were displaced with the flooding of the valley, This area is now refered to as Jounama Dam. 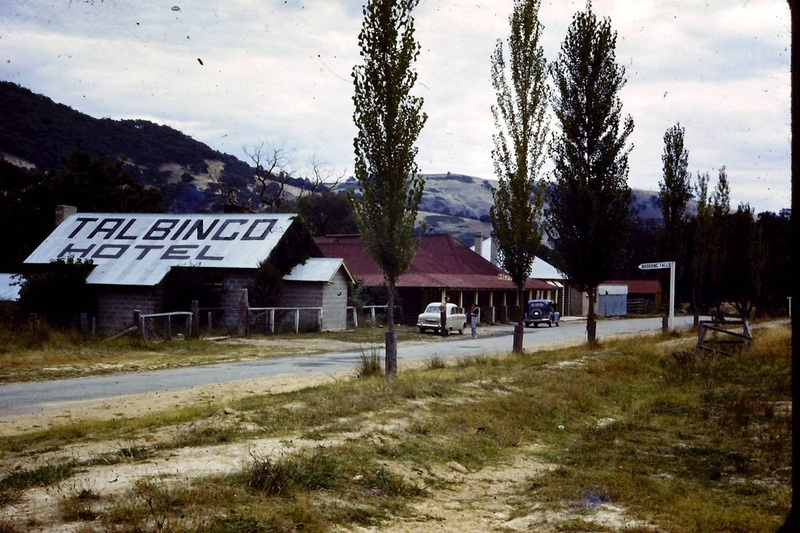 The Talbingo Hotel prior to 1968 when the whole valley was flooded Photo: George Giles. 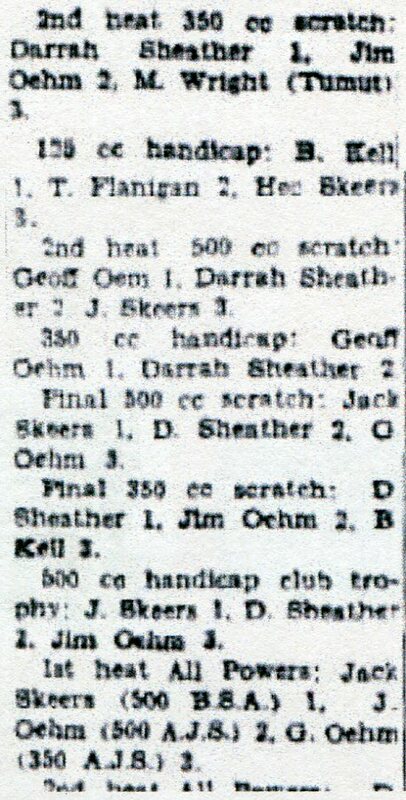 The Junee Motor Cycle Club held two motorcycle racing events at Talbingo, The race meetings were held on the 15th of August 1954 and the 10th of October 1954. 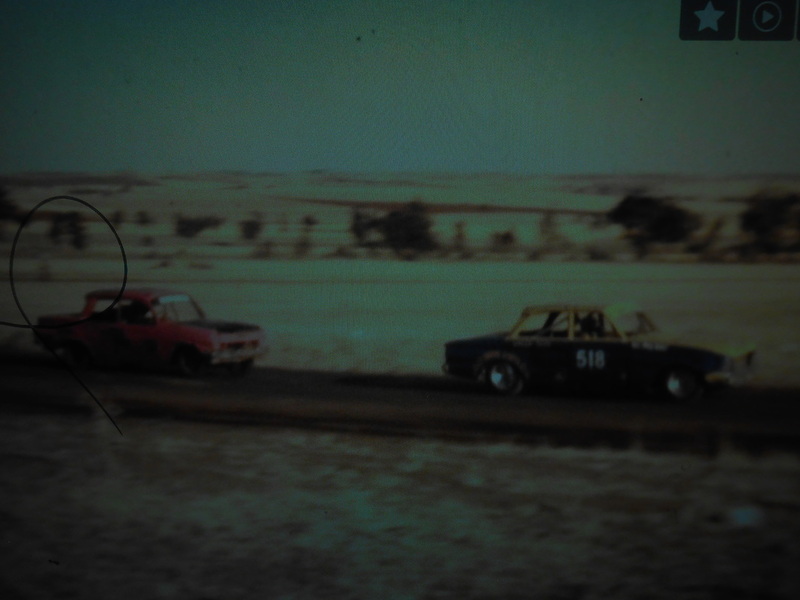 The exact location or the life span of the speedway is not known, What is known is the the track was a Short Track Speedway circuit and it was built on private property towards Junee. 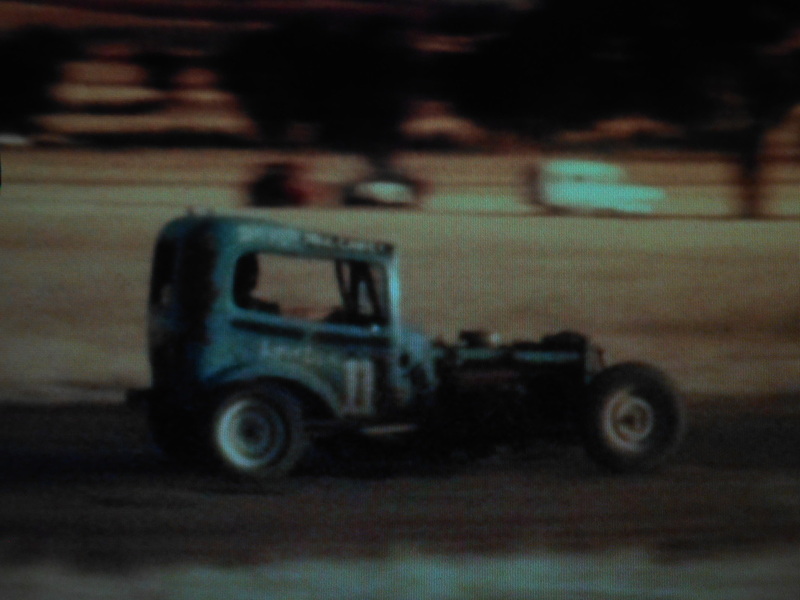 Rodger Bradley recalls: Back in the mid 1970's, when I was an impressionable teenager a family friend took me to see my first Speedway meeting and I was hooked, I ended up racing sedans myself on short circuits and Speedways around the ACT and New South Wales from 1981 until retiring a year or two ago. 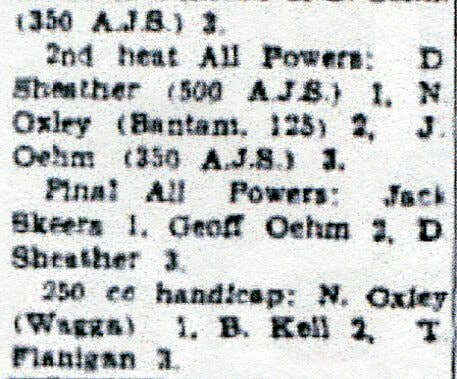 Anyhow I always thought that my first Speedway experience back in 1976 was at a circuit somewhere to the west of Junee, but I was not able to find any sign of the track when I went looking in 2006, nor could I remember the name of it. 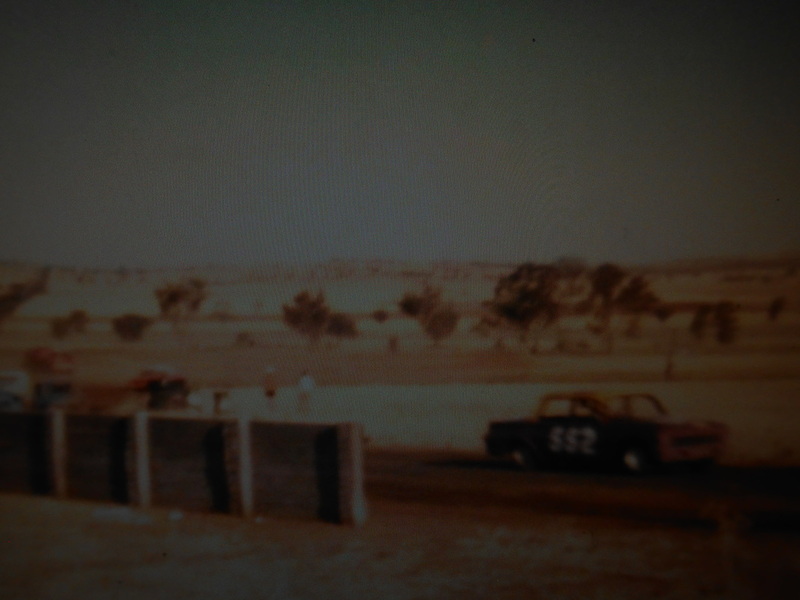 I had some photo's that I took on that day back in 1976 and the terrain in the background looked right, but the locals I spoke to had no memory of the track being there, After reading this page on Talbingo Speedway the pieces fell into place, There was no speedway at the town of Talbingo at all, Instead Talbingo Speedway was actually located on Talbingo Lane, just off the Olympic Way near Old Junee, The exact circuit where I had my first taste of speedway action.